Your bathroom plays an important part in your home. When you’re getting ready for work, or a fun night on the town, or the kids are getting ready for school in the morning, your bathroom cabinets are right there in middle of things. 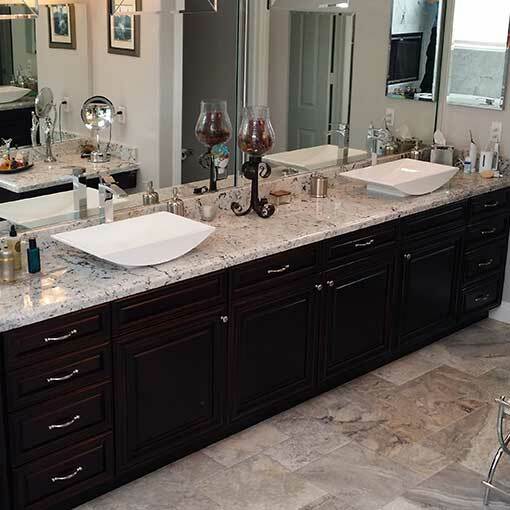 Cabinet Wholesalers offers beautiful, custom bathroom cabinets for your home decorating needs. We know just what it takes to transform your old bathroom into a decorator’s dream space, complete with a gorgeous bathroom vanity. Trust us with your custom bathroom cabinets and get exactly what you’re looking for. Contact us today for a free custom cabinet estimate at 714-693-1111 and talk to a pro.